Ok, everyone. One last Harkin love fest from me. I spent most of this year’s Steak Fry squished up against the press area guard rails so my angle options were limited. I think I did alright, though. Tom Harkin’s retirement has me thinking a lot about this rapidly grey-ing generation of political leaders. 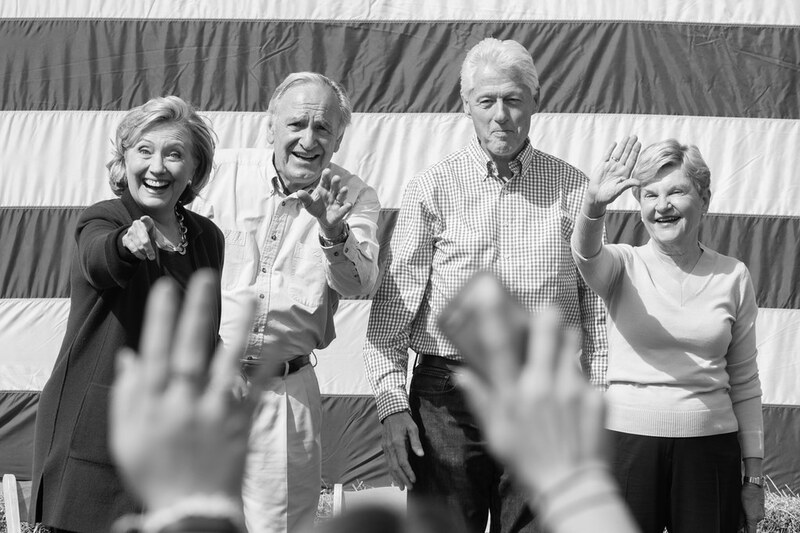 Will we ever see a career like Tom Harkin’s again? Can this poisonous political climate produce a leader who is firm in their beliefs but not polarizing? I’m not saying Tom Harkin was beloved by all but there’s a decent base level of respect there from everyone but the most jaded of hacks. The candidates nowadays who aren’t bombastic are met with derision by their party’s base and the partisan media channels whose business model relies on fear and loathing. Those who are get their base out to the polls and they may win, but when they arrive at their job they suddenly find they’re poisonous to work with by even some in their own party. I’m being a downer, I know. Elections like this one for US Senate get me that way. When all the right wants to talk about is chickens and a click-hungry media is all to happy to go along with it before getting all the facts it’s hard not to get down about the business I’m in. I’ll be alright, though. I’m gonna go knock some doors. Enjoy the pics.